Love being the center of attention and hate misplacing your ride in a crowded parking lot? 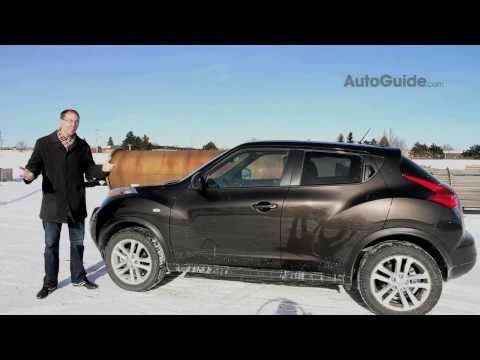 The 2011 Nissan Juke could well be your personal dream machine. It's also destined to score big with anyone seeking a high-content transport module that delivers a world-class combination of fun and affordability. Loved my car but too many problems, is practically a money pit. After almost a year of purchasing my juke, I had to replace the engine because the timing belt was going out and when I took it to Nissan to fix they said nothing was wrong with it. The engine and the timing belt did not fall under warranty. The electrical in the car is bad and goes out all the time and is also not under warranty. It is good for a first time car if you do not have a family. The extras are nice and it has good pick up and go. I love the all wheel drive, but unfortunately the mechanical and electrical issues weight out more than everything else. Make sure you have enough room in your backseat! I love the juke! It accelerates very fast on the highway and gets great mileage even with city driving. I do get a lot of complaints about not having enough room in the backseat, but I didn't buy the car with the intention of sitting in the back. I am the driver! My juke has black and red leather interior and it is plush! I have a connector that hooks up to my iPhone so that I can charge my phone and play music at the same time! It does also have Bluetooth so I can access hands free calling while I am driving. I absolutely love my car! Sporty Compact Vehicle that is fun to drive! The Nissan Juke is a fun vehicle to drive. It really has some zip on the highway with Turbo Boost, and eco-mode saves about 2 miles a gallon in the city, about 3 miles a gallon when we drive locally which is a very rural area. On average we get 24.5-26 miles per gallon. The compact size makes it easy to maneuver and the AWD has been very helpful driving in the snow during the winter months. The only thing that we weren't happy with was the material of the interior seats. We have black cloth and it does not clean well. NISSAN IS RECALLING CERTAIN MODEL YEAR 2011 NISSAN JUKE VEHICLES MANUFACTURED FROM APRIL 9, 2010, THROUGH MAY 12, 2011. THE TURBOCHARGER BOOST SENSOR BRACKET MAY SEPARATE FROM THE AIR INLET TUBE DUE TO A DEFECTIVE WELD. IF THE BRACKET COMES OFF, THE VEHICLE COULD STALL WITHOUT WARNING, INCREASING THE RISK OF A CRASH. NISSAN WILL NOTIFY OWNERS, AND DEALERS WILL CHECK THE LOT NUMBER ON THE AIR INLET TUBE AND REPLACE IT IF NECESSARY, FREE OF CHARGE. THE SAFETY RECALL IS EXPECTED TO BEGIN ON OR ABOUT JANUARY 9, 2012. OWNERS MAY CONTACT NISSAN AT 1-800-647-7261. Nissan North America, Inc. (Nissan) is recalling certain 2011-2012 Nissan Juke vehicles previously remedied under recall 12V-069. During that recall remedy, the fuel pressure sensor may not have been properly tightened, potentially causing the sensor to loosen and leak fuel. Nissan will notify owners, and dealers will tighten the fuel pressure sensor to the proper torque, free of charge. The recall is expected to begin May 7, 2018. Owners may contact Nissan customer service at 1-800-867-7669. NISSAN IS RECALLING CERTAIN MODEL YEAR 2011-2012 JUKE, INFINITI QX AND INFINITI M VEHICLES. THE FUEL PRESSURE SENSORS MAY NOT HAVE BEEN TIGHTENED TO THE CORRECT SPECIFICATION. AS A RESULT, THE FUEL PRESSURE SENSOR MAY LOOSEN DUE TO HEAT AND VIBRATION CAUSING FUEL TO LEAK. FUEL MAY LEAK FROM THE PRESSURE SENSOR, INCREASING THE RISK OF A FIRE. NISSAN WILL NOTIFY OWNERS, AND DEALERS WILL REPLACE THE FUEL PRESSURE SENSORS, AS NECESSARY, FREE OF CHARGE. THE SAFETY RECALL IS EXPECTED TO BEGIN ON MARCH 19, 2012. OWNERS MAY CONTACT NISSAN CUSTOMER SERVICE AT 615-725-1000.